For those of you who were looking for a buzzkill blog today, you will have to wait until tomorrow. 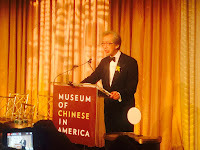 In yesterday's blog, I mentioned that I was attending an amazing event to honor my Uncle Will for his lifetime achievements in architecture as a Chinese American. As a family, we couldn't be more proud of this man, and I wanted to share with you last night's experience and little bit about my uncle and you'll understand why he has become such an inspiration to me and my the rest of my family. Where do I begin? Well, my uncle, William C. Louie is the youngest of five children to two immigrants from China, who came to America seeking a better life for their family. My father being one of those five and those two immigrants, of course, being my late grandparents. The Louie family was raised in a laundrey, as cliche as that sounds, in the Bronx. According to my uncle's tribute video last night, they all lived in one small room in the back of the laundrey that was run by my grandparents. My uncle joked in the video that he actually missed living like that, which can explain his simple living style in the same apartment in Chinatown in NYC with my Aunt May for many decades. 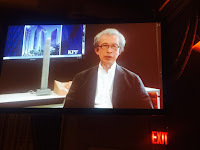 Uncle Will graduated from City College in New York with a bachelor's degree in architecture and joined the firm Kohn Pedersen Fox in 1977, a year after the firm was founded. Today, he is a partner at the firm and has built a legacy behind with world-famous buildings that are familiar to many of us. We just never knew it. 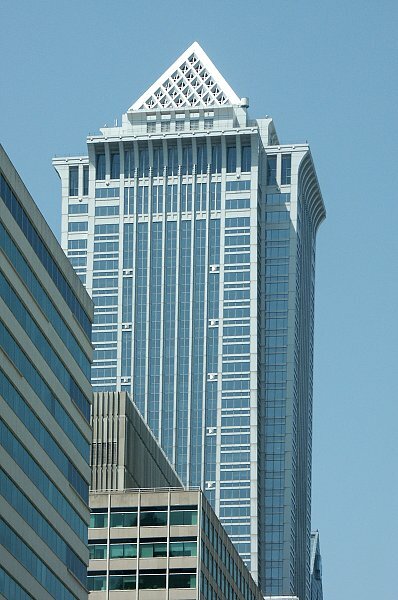 Some of his projects include the 53-story Mellon Bank Center headquarters tower (pictured) in Philadelphia (which he pointed out to me at my wedding), the General Reinsurance Corporation Headquarters in Stamford, the twin Ventura towers in Rio de Janeiro, the recently completed Infinity Tower in Sao Paulo, Brazil and the Daniel Patrick Moynihan U.S. Federal Courthouse (pictured) in Manhattan, which received the U.S. General Service Administration's prestigious Design Excellence Award. I'm not even scratching the surface with his life's work. There is many more to mention, but I just wanted to mention some that you might recognize right away. Last night at the Pierre Hotel in Manhattan, the Museum of Chinese in America, or MOCA, honored Uncle Will for his lifetime achievement in the architectural field. Actress Nancy Kwan, known for her role in Flower Drum Song and The World of Suzie Wong, was also honored for her lifetime achievement on stage and screen. I remembered her as Gussie Yang in one of my favorite films, Dragon: The Bruce Lee Story. My uncle was in good company. 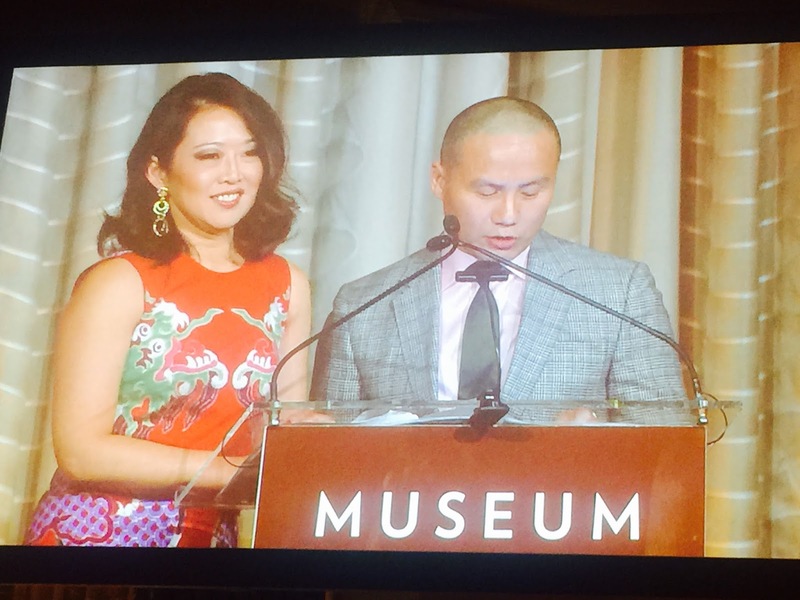 Emceeing the evening was Melissa Lee from CNBC's Fast Money and actor B.D. 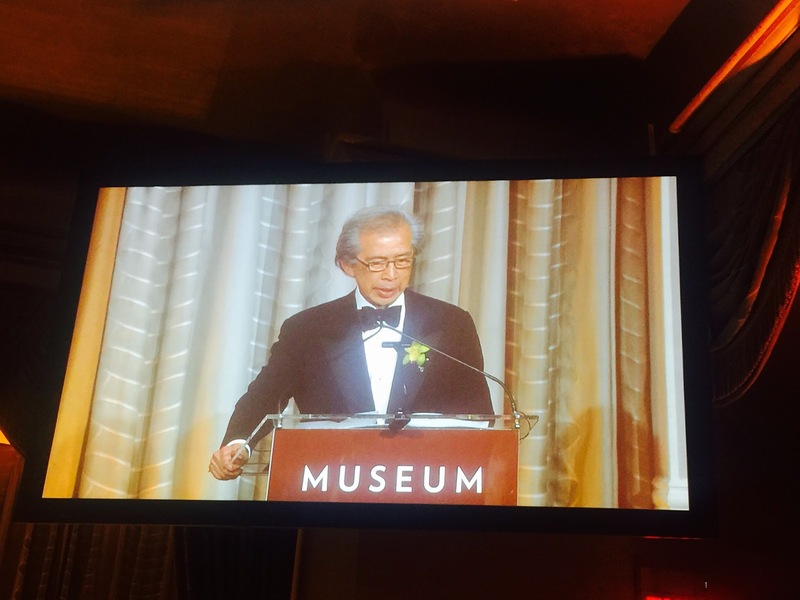 Wong, known for his roles in Jurrasic Park, Law and Order, soon as Dr. Strange on the Fox TV hit, Gotham, and his Tony Award winning performance as Song Liling in M. Butterfly on Broadway. B.D. got a little choked up presenting the award to Nancy Kwan and rightfully so, since she opened the doors for Chinese-American actors. The evening was kicked off my an amazing string quartet made up of four children. The youngest being 5-years-old playing modern music and rocking out on a cello of all instruments. As a musician, I was truly amazed. Also, in the audience was Olympic gold-medalist Michelle Kwan. 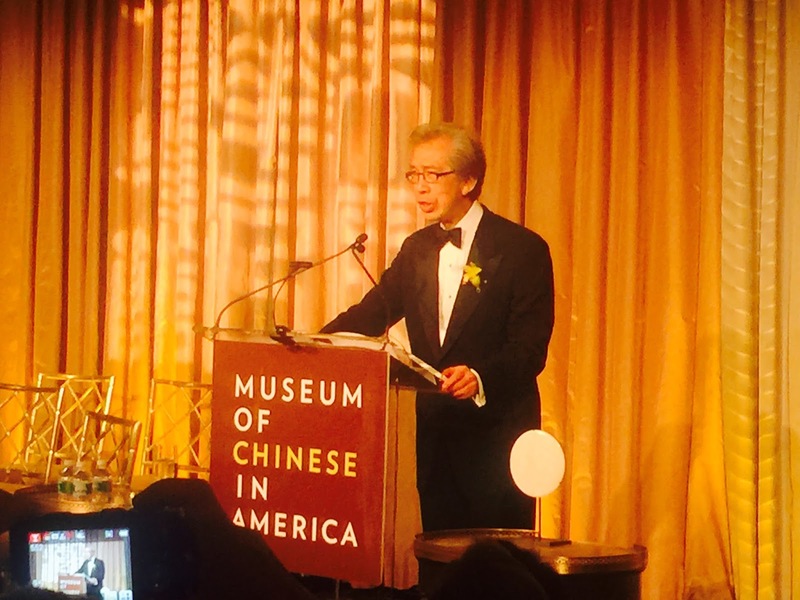 MOCA did an amazing job with their event and I can't speak for the rest of my cousins, but the evening gave me a sense of pride and inspiration to be a Chinese American in this country. 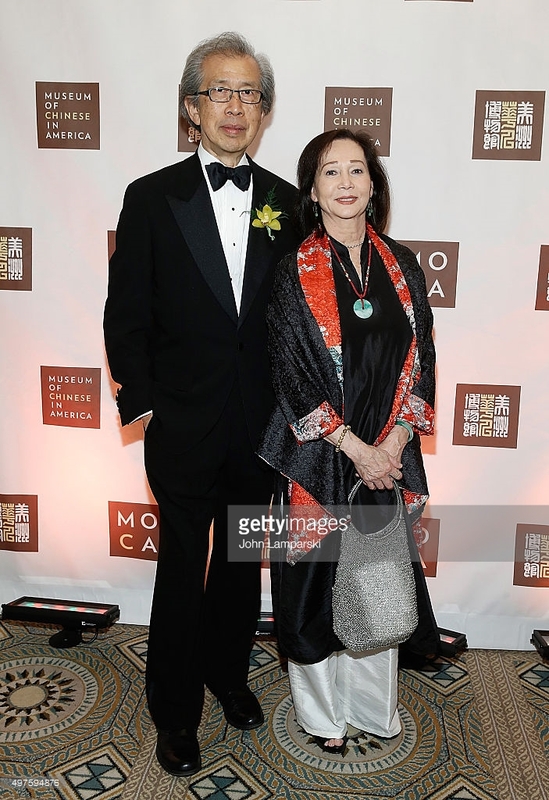 Seeing my uncle receive his award and hearing Nancy Kwan and my uncle talk about the risks that had to be taken for families to come to America really resonated with me giving me the urgency to learn more. If you haven't visited the Museum of Chinese in America in Chinatown New York yet, I highly recommend it. It's not only for Chinese Americans, I brought my brother-in-law and he was fascinated about what the Chinese went through to come here. It truly is a learning experience. My apologies if I got all "Hey, I'm Chinese American" with today's blog, but today more than any other day, thanks to my Uncle Will, I'm proud to say, "Hey, I'm Chinese American!"